After having a day of fog cover and storms rolling through Chicago, the tail end of the storms and winds blowing in from off the lake created a foggy effect. This foggy effect rolled in over the skyline and could be seen from the Adler Planetarium. 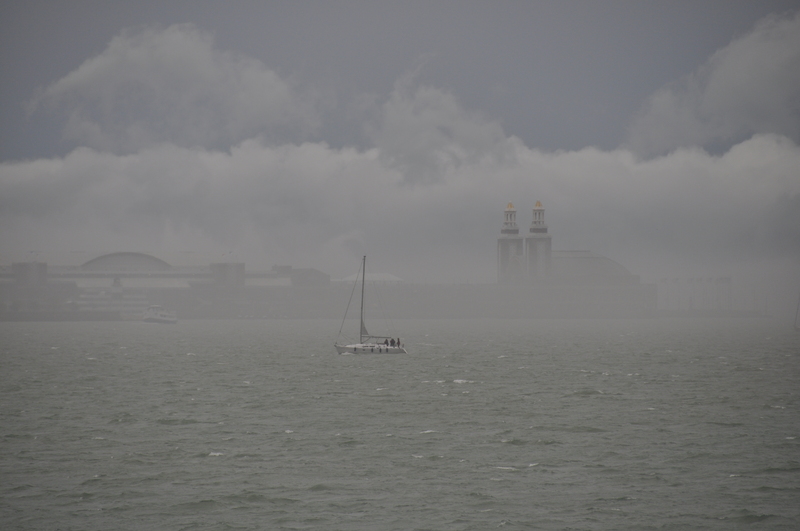 This one was taken from the Adler Planetarium, as the fog rolled in over Navy Pier and engulfed it. This entry was posted in Amusement, Chicago, Weather. Bookmark the permalink.